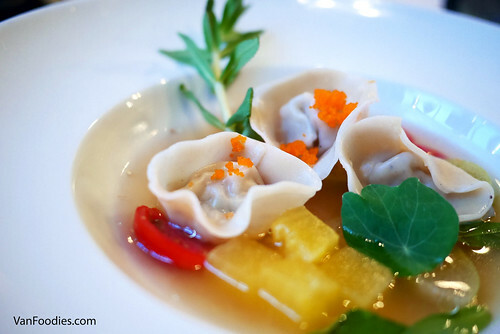 During Dine Out time, there are a number of culinary events happening in the same two-week period, including the Brunch Crawl series put on by Vancouver Foodster. It’s similar to his series of Tasting Plates, except it happens on a weekend morning, perfect timing for brunch. The event started at Novo Pizzeria where we were served a trio including Arugula and Blood Orange Salad, Novo Breakfast Pizza & a Sicilian Canoli. 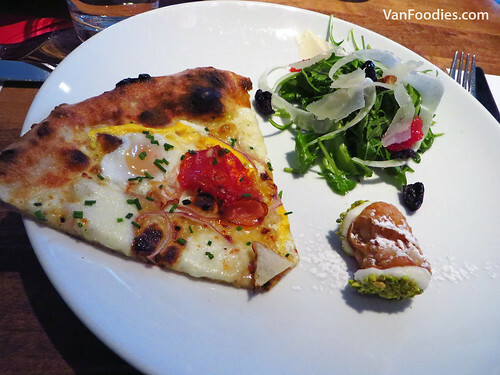 Pizzas at Novo have always been great – this one was no exception, especially with the use of a sous vide quail egg on each slice. The canoli was light and flaky, with nutty flavour from the pistachios and citrus fragrant note from the orange blossom water and citrus essence. Next, we beat the football fans and made our way to Darby’s Public House, a popular pub in the neighbourhood. 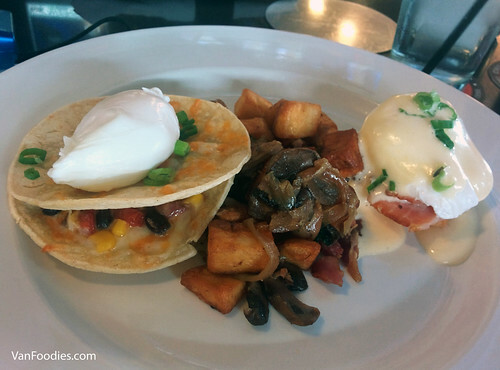 They served a generous portion of their brunch items: Half an Eggs Benedict, Hangover Hash and Mini Huevos Rancheros. The poached eggs were perfectly cooked, with runny yolks bringing everything together. Although I’m not particularly interested in Mexican food, I found myself enjoying the Huevos Rancheros with the subtle heat in the jalapeno ginger sauce. A fried egg would have worked well but poached egg was just fine.